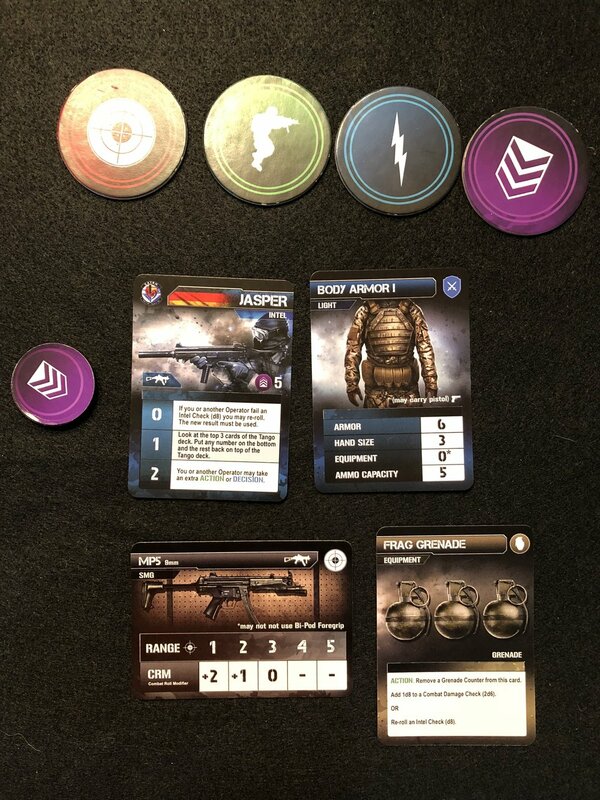 A fast playing co-op tactical shooter card game. 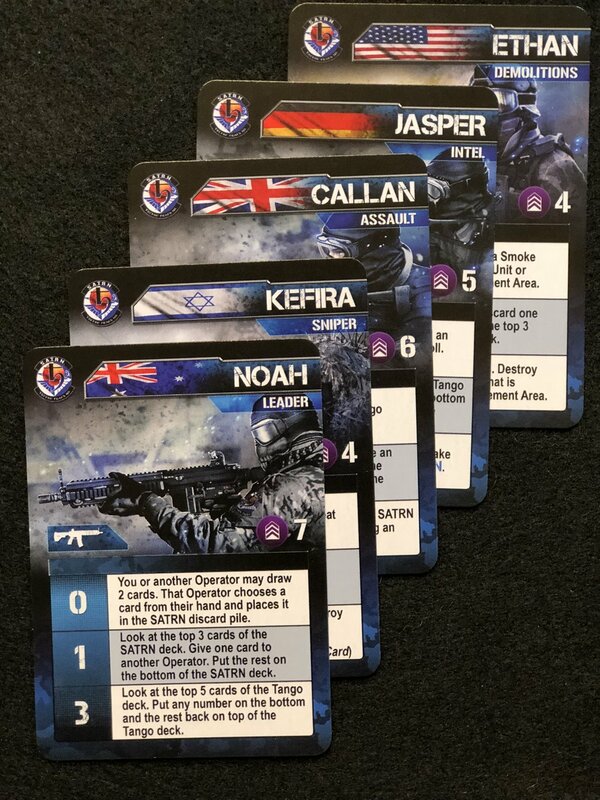 Tango Down is a card and dice game for 1 to 4 players where you take control of an elite international counter terrorism unit known as SATRN (Special Anti-Terror Response Network). As a deniable operations unit within NATO, your team must strike swiftly and quietly. Team based communication, taking action, and effective decision making are required as you engage enemy units, deal with morale checks, and overcome devastating events while moving to secure objectives. Its unique combat system is based on weapon selection, range to target, managing ammo, and modifying dice rolls. Stand Alone missions offer the ability for quick play, while the Campaign mode offers a longer and more narrative approach. We respect your privacy. Your email will not be shared or sold to third parties.